Home: Duo Designs specializes in remodeling and home improvement for homes, condos and all living spaces in Northern New Jersey. Kitchens And Baths: All of our kitchen and bathroom remodeling projects that we complete meet and exceed our customer satisfaction. Home Additions: Duo Designs We start all of our home addition projects by designing the most efficient way to add living space to your home. 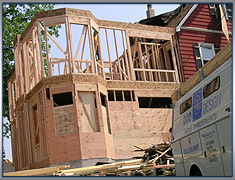 Home Remodeling: We specialize in all aspects of home remodeling from adding rooms to existing houses to expanding interior rooms for homes in new Jersey. Custom Cabinetry: Duo Designs specializes in building custom cabinets for homes in New Jersey. Our Home Improvement Services: Duo Designs specializes in all remodeling and home improvement for homes, condos and all living spaces in Northern New Jersey. About Duo Design: Find out more on how Duo Designs can customize your home with more living space and custom cabinets for kitchens and baths. Gallery - Duo Designs specializes in all remodeling and home improvement for homes, condos and all living spaces in Northern New Jersey, View our Remodeling Galleries. Contact Us: Contact Duo Designs today and a representative will contact you about our home remodeling services. 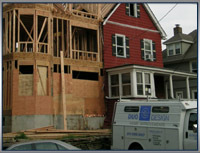 Duo Design has added rooms, expanded existing kitchens and added levels and dormers to existing houses in New Jersey. We specialize in remodeling kitchens and bathrooms by installing custom cabinets that will improve the look of your home.